Tiger Mottle boasts a solid drinks menu. Coffees, smoothies, hot chocolate, fresh orange or apple juice and Phoenix Organic drinks to name a few. The juice smoothies ($5.50) on offer include Bananarama (banana, blueberry and apple), Morning Glory (mango, strawberry and orange) and the Pink Floyd which is a blend of pineapple, raspberries and apple. The fresh juice tasted great together and was a nice reprieve from the very strong Maple Mottle (see below)! 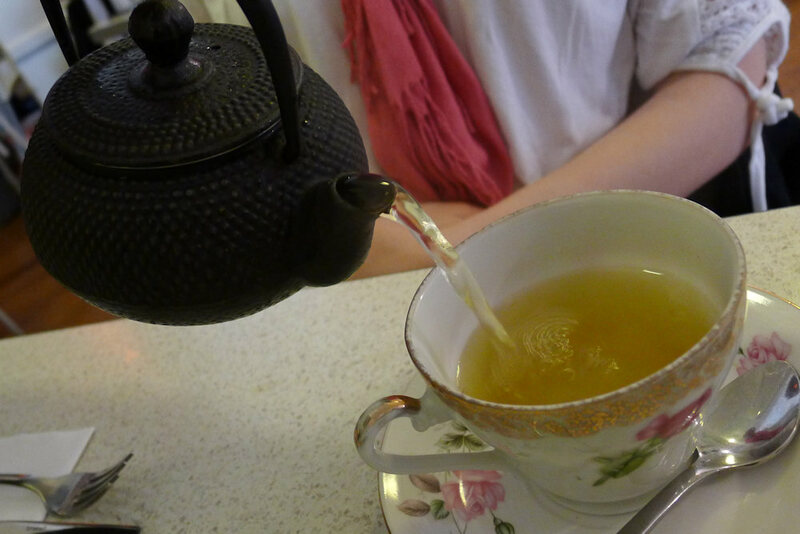 Tea Craft is the tea of choice and our peppermint ($3). This is a lush, fragrant blend and was served in a gorgeous cup – a nice touch. 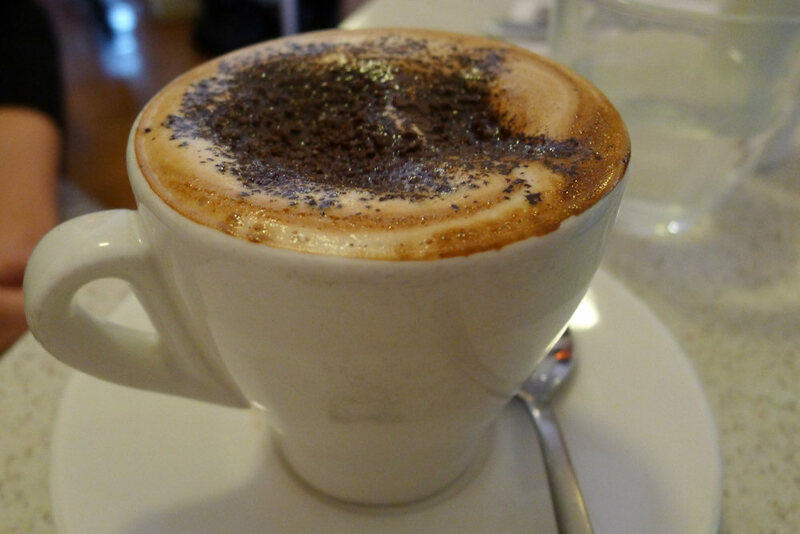 The grated milk chocolate on the top of our skim cappuccino (regular $3.50, large $4.40) was divine. It was so delicious in fact that we may have licked around of the outside of the cup. The coffee tasted great too. 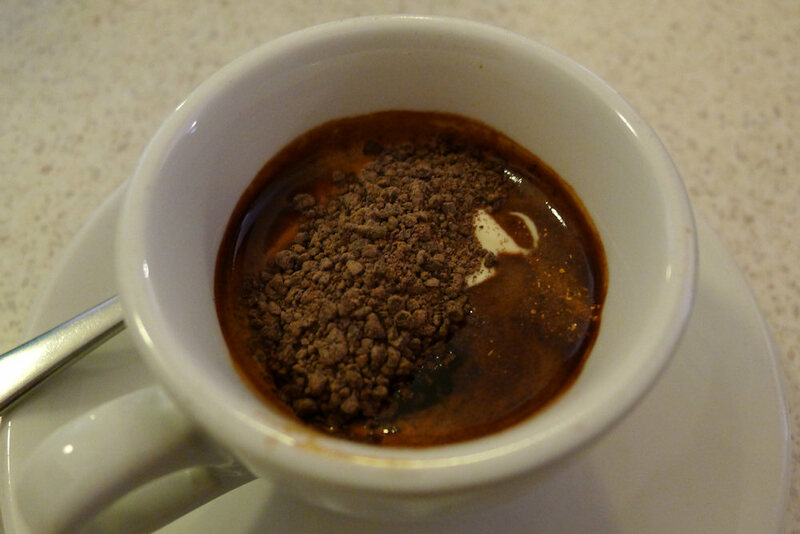 The Maple Mottle ($3.50) is a double ristretto with a shot of maple, a dusting of chilli and a dollop of cream. Wow, this very short shot packs a punch! The smooth cream and maple tried their best but only marginally altered the robust flavour while the chilli, we have to say, was indiscernible. The brew itself though tasted great if you are shot-inclined. 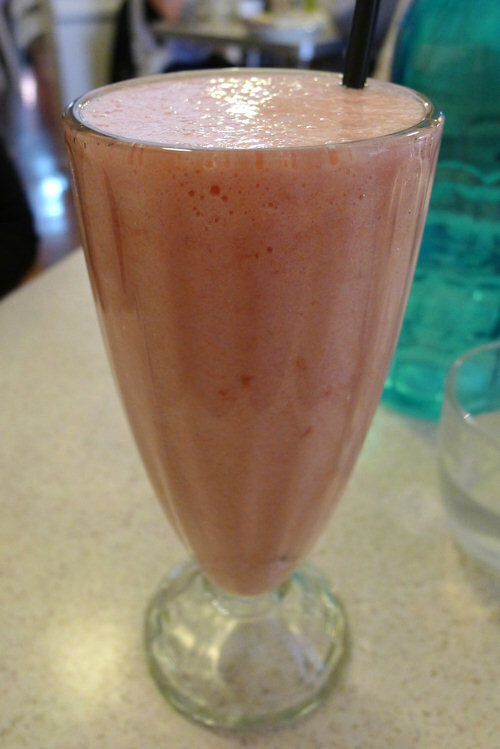 A whole array of milkshakes ($5) are available including chocolate, vanilla, spearmint, raspberry and strawberry. 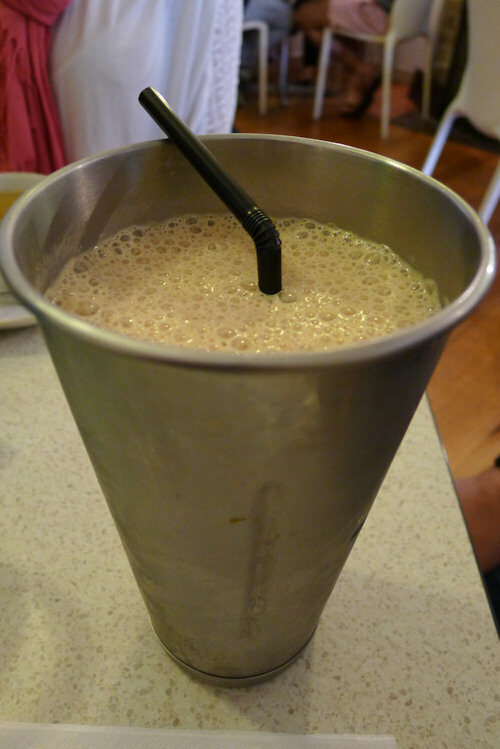 Somehow, we talked them into a coffee milkshake which should definitely make its way to the permanent menu. Loads of ice cream and fresh coffee worked wonders. 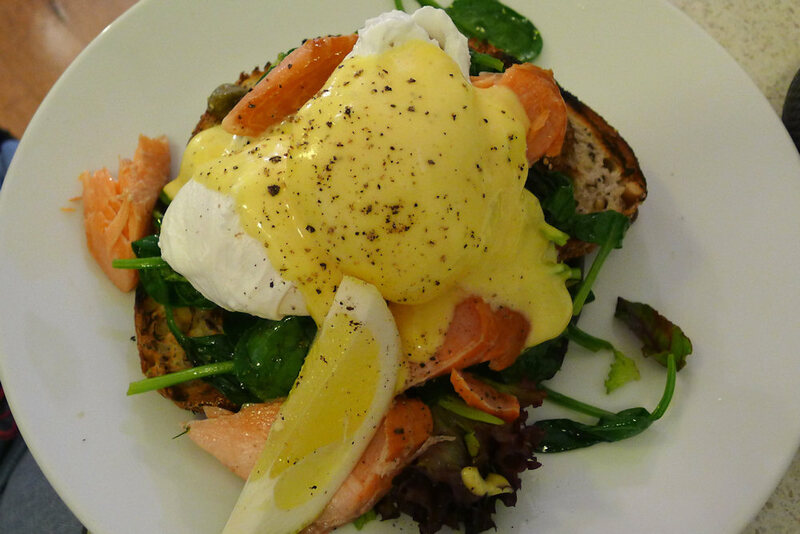 Arguably our favourite dish of the morning was the eggs Benedict with smoked ocean trout ($15.50). Delicious wholegrain toast, greens, plenty of trout and an extremely well prepared hollandaise sauce made it hard to fault. The smoked trout was crumbly but still retained some of its undercooked properties towards the centre. 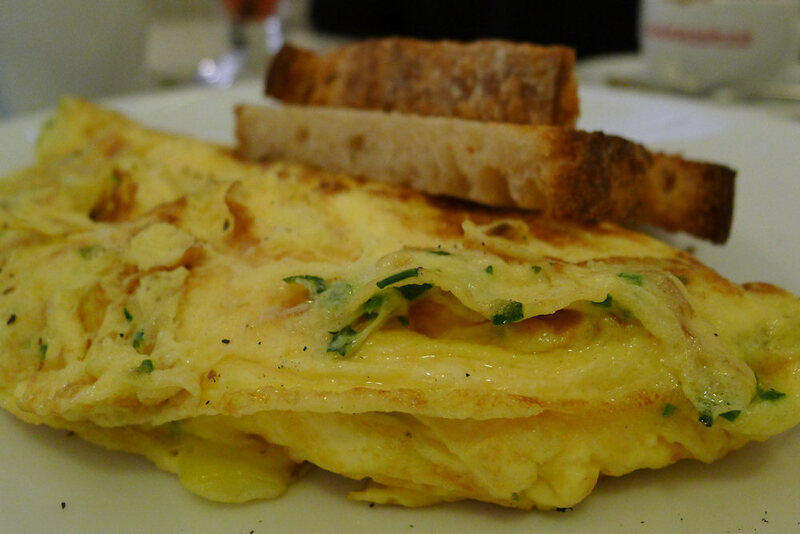 The omelette of the day was caramelised onions, braised leeks and goats cheese ($15). Each bite had a different taste as the ingredients combined in different ways. The goats cheese was particularly tasty and used sparingly so as not to be overpowering. It was also a decent size and filled us up for the morning. 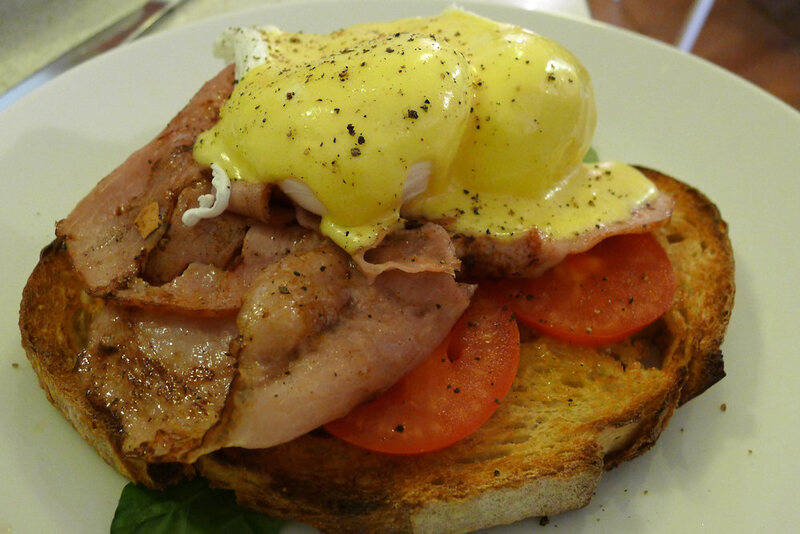 The other version of Benedict that Tiger Mottle prepares is with ham and fresh tomato ($13.50). The amount on the plate looked small but the (again wonderful) dense toast and rich hollandaise with two perfectly poached eggs was more filling than we thought. Thoroughly enjoyable. 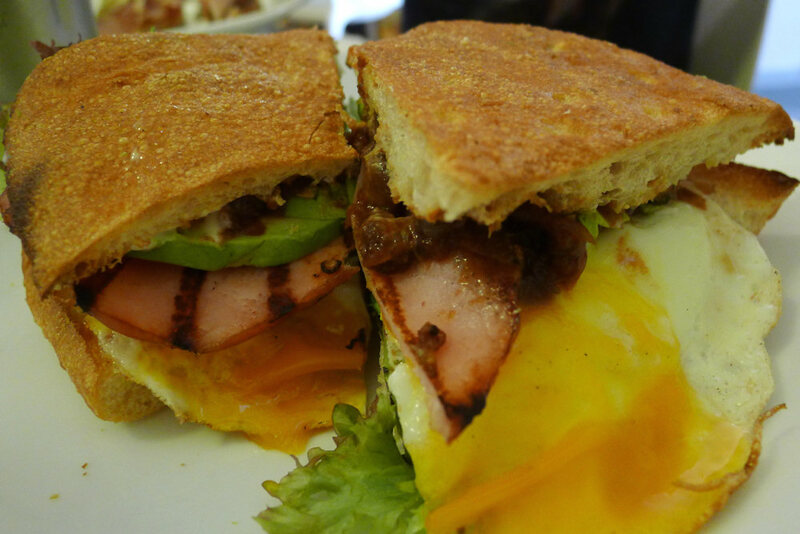 More than just a bacon and egg sandwich, the Fancy Pants bacon and egg ($8.50) receives a flavour boost from its relish and aioli. We added avocado ($2) but in the future would actually ask for extra bacon and aioli as it needed more of both to increase the size as well as the flavours that needed to be more prominent. 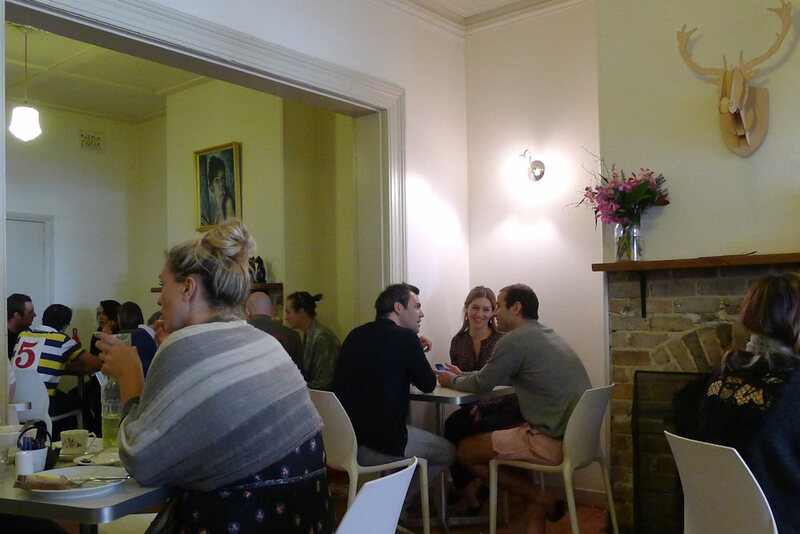 Not only does Tiger Mottle’s food and coffee shine but the prices are unbelievably good for this part of Sydney. We’ll definitely be back for the crumpets with boysenberry butter and toffeed apple ($10) and free range eggs with toast ($8.50) and many sides to choose from including ricotta ($2), avocado, roast roma tomatoes, crunchy chat potatoes, crisp polenta hash brown ($3.50 each), bacon, grilled haloumi ($4 each) and smoked ocean trout ($5). 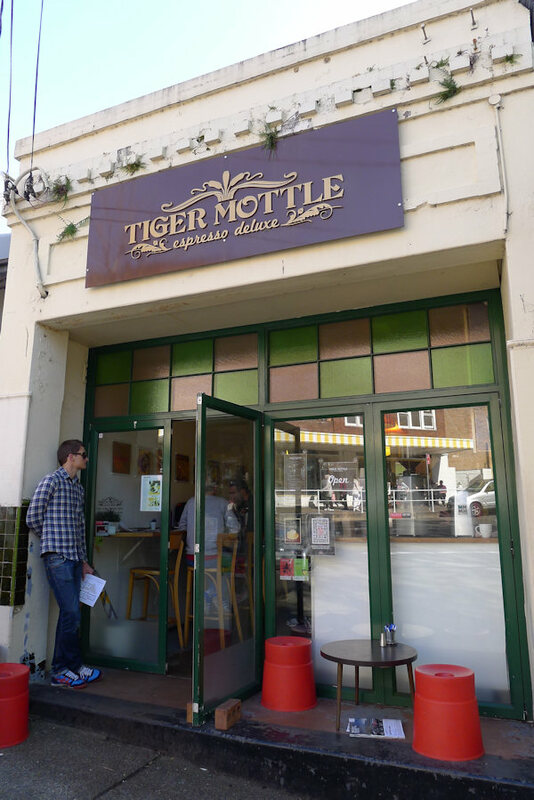 Tiger Mottle is only a short stroll from the Oxford Street shopping district. You can find a range of stores from designer swimwear to handmade chocolates. On Saturday, markets are held at the Uniting Church and there are plenty of handicrafts and fashion accessories on sale to keep you occupied while you digest your breakfast. This entry was posted in Sydney - Eastern Suburbs and tagged Outdoor seating, Parking close by, Reasonable prices. Bookmark the permalink.